Do gut punches come any more painful than this? 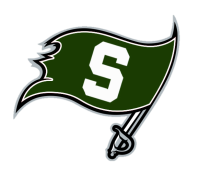 Building a 20-point lead on homecoming night and bidding for a signature win over undefeated Liberty, South Hagerstown surrendered two touchdowns in the final 3:18 and lost in agonizing fashion, 36-33. On a night when the Rebels (3-2) scored just 58 seconds into the game and were in command throughout, they ultimately lost because of their failure to recover a slippery football — an onside kick that they knew was coming. Down by 14 points late in crucial road game against a 3A West foe, South Hagerstown was in desperate need for some late-game heroics. The Rebels got just that from quarterback Timmy Townsend and running back Jayswah Sanon. Townsend threw for 241 of his 265 yards in the second half and Sanon scored three of his four touchdowns after halftime to lead South to a 35-33 overtime victory over Tuscarora on Friday night. SHENANDOAH JUNCTION, W.Va. — Jayswah Sanon never knew he was a mudder. He said he doesn’t even feel comfortable carrying the ball when the turf is wet. But one would never know it from his performance on Friday night when he carried 19 times for 266 yards and three touchdowns to propel South Hagerstown to a 40-13 victory over Jefferson. If Timmy Townsend is anything, he is patient. It's part of his job description as South Hagerstown's quarterback. He must be able to lead, direct the offense and look for openings. Those openings came in the second half Thursday night against Williamsport, and Townsend pounced on them. He blew the game open for the Rebels in the third quarter by producing two scores in a two-minute span to lead South to a 48-22 victory. "It just is not our night," one South Hagerstown assistant coach said after the Rebels surrendered free yardage to Westminster on a penalty. Despite falling to the Owls by just three points, 24-21, the Rebels found themselves frustrated with hard luck on multiple occasions during Friday night's 3A West semifinal at School Stadium. "We always seem to have trouble at home all the time. I think all three of our losses came while at home," Rebels coach Dave Lawrence said. Jayswah Sanon gave a speech that was almost Oscar-worthy. It was fitting. Sanon had all the kind words and complimentary statements after a victory. Not just any victory. 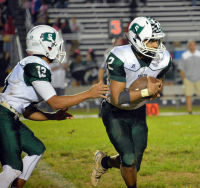 South Hagerstown’s 43-0 victory over North Hagerstown on Friday in the Gridiron Classic could end up being a signature win for the Rebels program. It was definitely worth a speech. 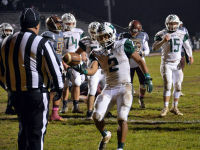 Playing in his next-to-last home game at School Stadium, South Hagerstown senior running back Jayswah Sanon was determined to turn in one of the best performances of his high school career. Sanon rushed for four of the Rebels' seven touchdowns in a 44-6 Senior Night romp of Urbana on Friday night. "Execution was important tonight, from me and from the linemen," Sanon said. "We executed tonight and put points on the board." Fellow senior Timmy Townsend also made Friday a game to remember.